So I’ve changed this password and I’ve changed that password but I’m PO’d that Earthlink doesn’t offer two-factor authorization! I don’t have this problem with my other accounts because they’ve got decent security available and I use it! 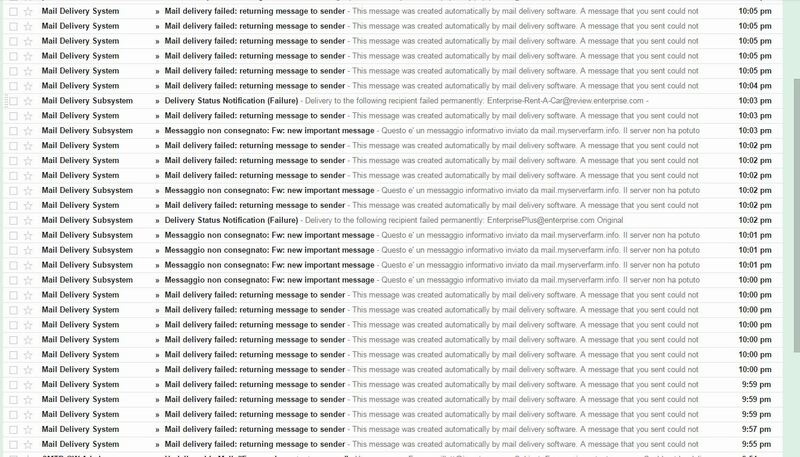 Needless to say, if you get some really funky email from me tonight, I would suggest you not open it. Although, whoever is spoofing my email address doesn’t seem to have access to my address book – most of these seem to be going out to random email addresses and getting bounced.